Celebrate Community at Valley Grange! Every year Valley Grange celebrates Community in May… our program includes announcing the “Valley Grange Community Citizen of the Year” for our area. At March’s meeting, our members selected the 2018 winner by unanimous vote with no hesitation. I’m convinced a lot of folks will be really pleased… and will want to share in honoring this person at our Community Night on Friday, May 18, 2018. This year’s recipient is… a secret! Well, that’s not exactly true. A lot of people know who it is… we just can’t post it here. If you are really curious ask a member of Valley Grange! We have what has been described by one conspirator as a “sinister plot” to get our esteemed guest to attend. If you like a mystery, just plan to join us on May 18, 2018. I don’t think you’ll be disappointed! We’ll start with a community potluck supper (bring a dish to share if you can). Our program will start at 7:00 pm and feature our Community Citizen as well as some important thoughts about community service and volunteering. Valley Grange is located at 172 Guilford Center Road at the corner of Butter Street. Additional parking is available across the street. While our hall is not totally handicapped accessible, we do have a chairlift to the second floor. If you need accommodation or have concerns, please let us know. We can be quite creative and accommodating! Photo from prep day… what it used to look like! 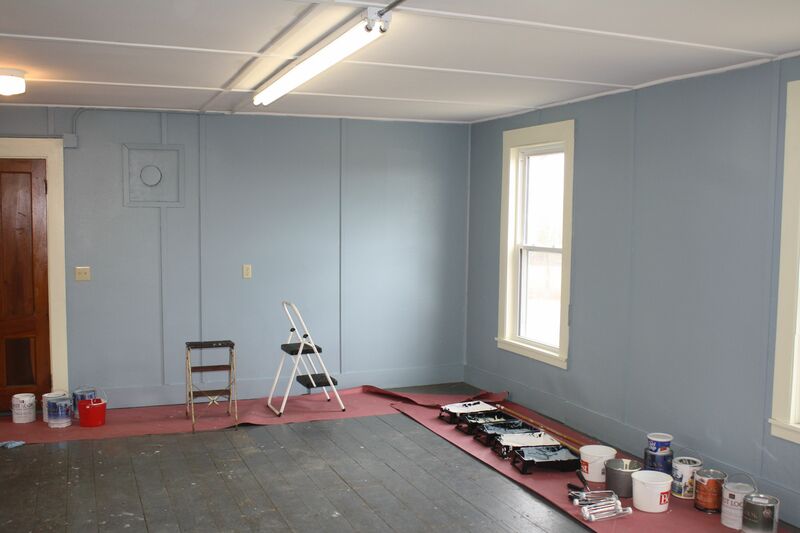 Wow… do we owe a big thanks to the “Helping Hands” Team of seven who showed up ready to paint last Thursday! We got a lot done! Thanks go to Grangers Jim Annis, Roger Ricker, Janice Boomsma, Pat Engstrom and granddaughter Heather for showing up to help on painting day. We tried to be helpful in part by staying out of the way! So here’s the progress report and another request for some support. 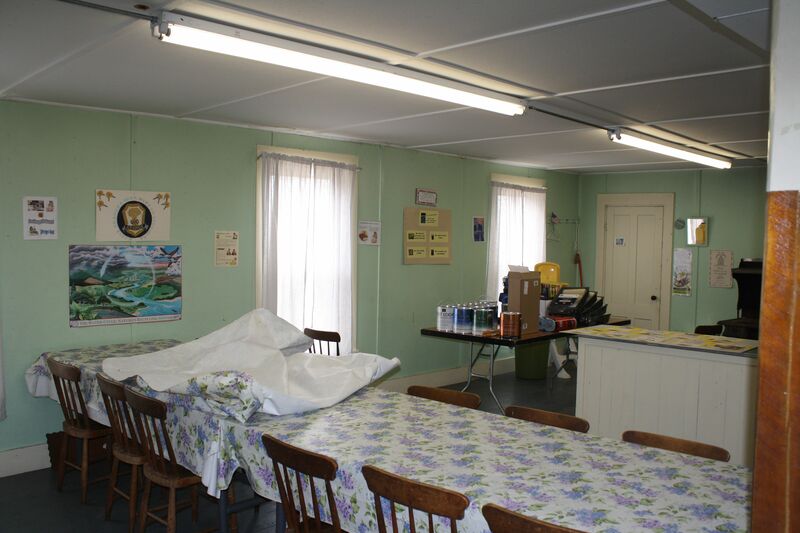 By the time the Helping Hands crew had to leave we had the ceiling and walls done plus one coat covering the trim. To our grateful surprise, the Helping Hands crew from the Mountainview Youth Development Program asked if they could come back and finish… and not only finish, but also paint the floor! Jim, that’s a painting cup–not coffee! So… we’ve schedule another painting day on Thursday, May 1st. 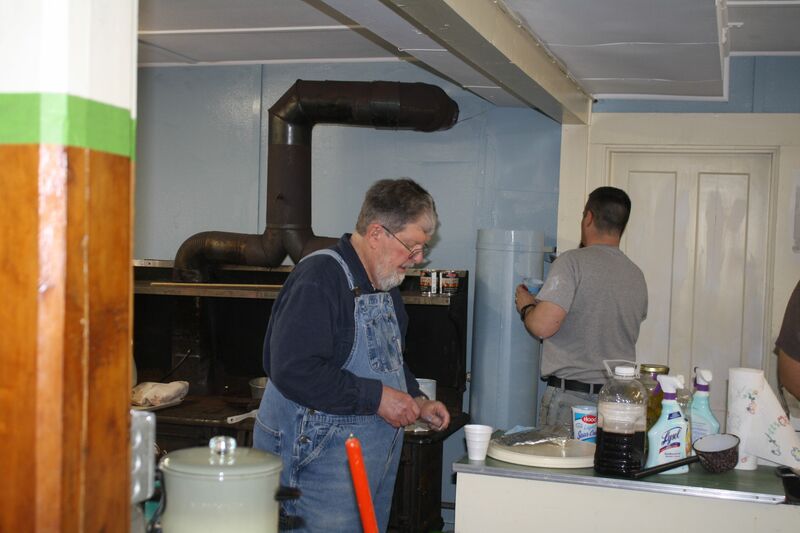 In anticipation, I’ve painted the dear old Glenwood stove and picked up the additional supplies–mostly floor paint–the Helping Hands Crew took all our brushes with them to clean and return! But I am “forced” to call on our Grange members and friends for some real easy help that doesn’t involve brushes and ladders. We did not budget for lunch for a second day of painting… and we need to feed these guys with HUGE appetites that increase as a result of hard work! So we’re looking for some help with lunch. If you can, please help by providing some sustenance! Bear in mind, cooking is pretty much out of the question as the kitchen is in total disarray, so we’re looking for sandwiches… baked goodies are a special treat–last time we had brownies by Mary and “Seven Layer Cookies” by Janice… We could consider a crockpot of soup… Unfortunately, both Mary and Janice are not available for this party–Janice took special pride in trying to fill the guys up last time! Can we put on a “Grange Spread” for our willing workers? We’ll probably be feeding seven to ten people and lunch is usually needed around 11:30. If necessary, you can drop food off the day before–use the refrigerator. Breakfast type snacks are a bonus–donuts, coffee cake, etc. We’ll get the coffee on and I already have “Sunny D.” The crew will probably arrive around 8:30 AM and work until 2:30 PM. Stop by and check out the work, say “thanks,” and offer your encouragement! A preview of the finished product. Aren’t you the person who…? 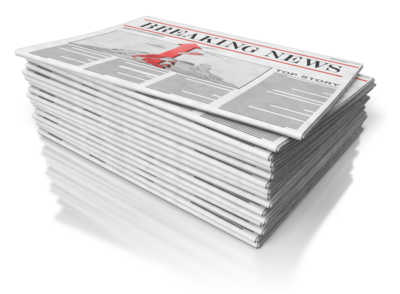 Two, we might learn how fortunate we all are to have “community” — including a “hometown newspaper” with an interest and commitment to our communities. I think Stu is one of the guys who gives out the dictionaries, because he–along with untold others who help in some way–are part of the program and make it possible. As the kids might say, that’s pretty awesome. Santa gets the credit for a lot what happens at this time of year, but let’s not forget our communities are filled with good people who are not just nameless faces going through the motions of life. They are people who give of their time and energy to help others and make so many of the things we have and enjoy possible. This morning I find myself thinking that third grader really had it right. 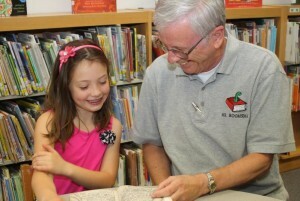 He recognized Mr. Hedstrom, but he didn’t just smile and say “Hello.” He saw that Mr. Hedstrom fit into something that happened and had meaning in his young life. That he saw it is important. Aren’t you one of those people who helped put up the town’s tree? Aren’t you one of those people who baked the cookies to go with the hot chocolate? Aren’t you one of those guys who kept the bonfire going? Aren’t you one of the kids who came to sing Christmas songs? The list gets longer once you get started, doesn’t it? I think one of the things we love about Christmas is watching people’s — especially kids’ — faces light up when they receive a gift or hear that Santa’s coming. And yet there are thousands of “gifts” being given in our communities every day–gifts of time, energy, compassion and friendship. We need to discover them. We need to give them. And we need to let our faces light up when we do. Just a few of Santa’s Helpers… Squash Secateurs really had their work cut out for them… no pun intended! With a hearty “Ho! Ho! 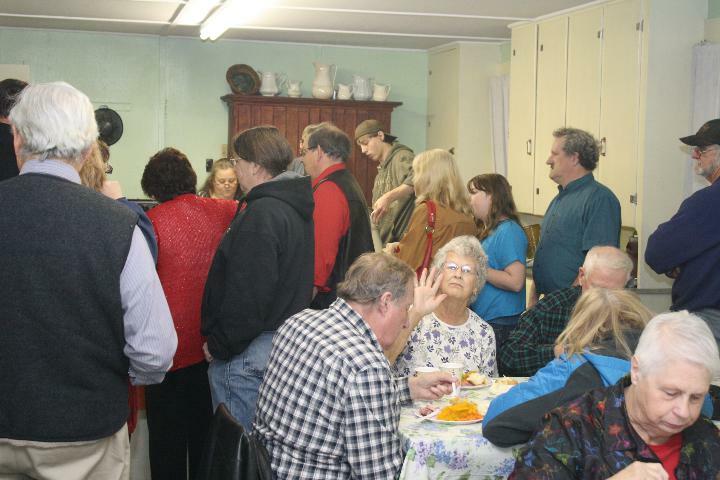 Ho!” lots of Santa helpers got together for a Harvest Festival to benefit the Piscataquis Santa Fund! The night may have been cold, but the warmth of community (not to mention all the steam from cooking) sure created a snuggly night! One diner tapped me on the shoulder and said, “You know what’s really nice about these meals?” He didn’t wait for me to answer before he added, “Seeing all these kids actually working!” (He was one of the first to ask to be on our mailing list, so we’re going to try not to disappoint him next time! Truth be told, I hadn’t noticed that the majority of our hard workers were young people! 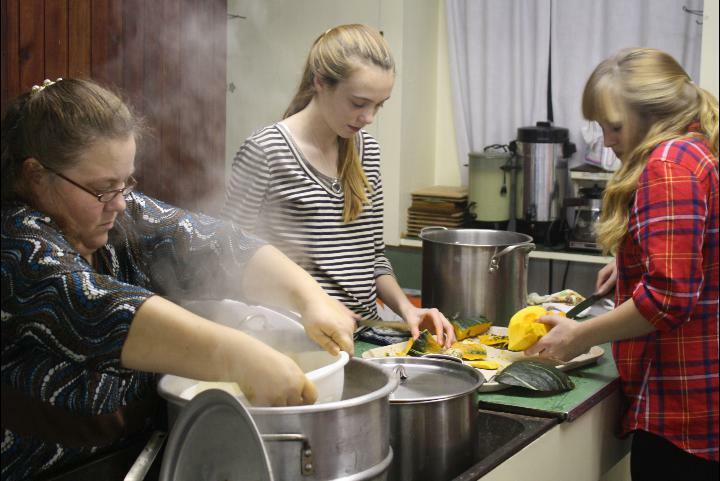 I did notice, however that there was always someone willing to work whether it was peeling squash, carving ham, or setting up very cold metal chairs upstairs. Barbara never misses one of these… and I think she waved to make sure we noticed! But wait, there’s even more! 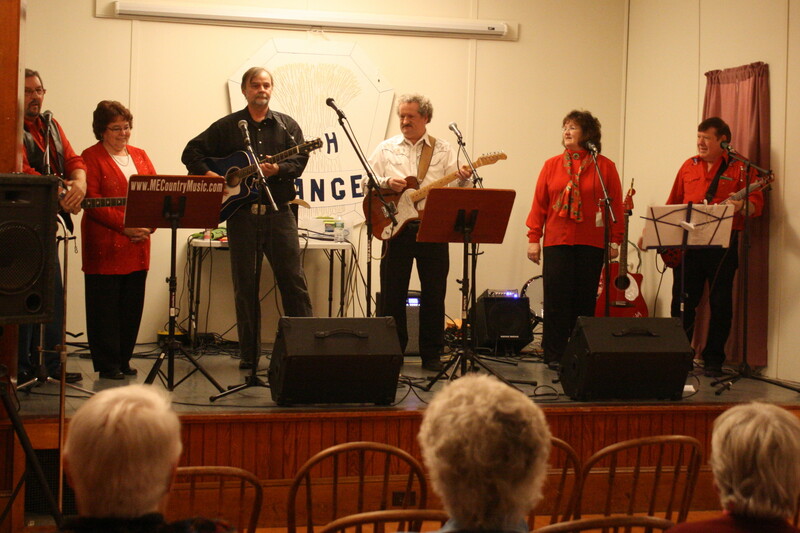 There was lots of toe tapping and swaying to the music as the Friends Band including Kathy & Buzz Vanadestine, John Whitman, Gary Knowles, Cornell & Judy McLellan entertained us with some old favorites and some pretty bad jokes! (Do you know what Adam said to Eve in the Garden of Eden the day before Christmas? “Merry Christmas, Eve!”) Ba-da-boom. But you know you laughed. While we didn’t give a prize for folks who traveled the longest distance, we were really pleased to have the Maine State Grange Master (president) join us all the way from South Portland. And while we consider Vicki a “dignitary,” she didn’t come as one. She came as a supporter both of Piscataquis Santa and Valley Grange. In fact, she sold one of the winning Meat or Heat Raffle Tickets! 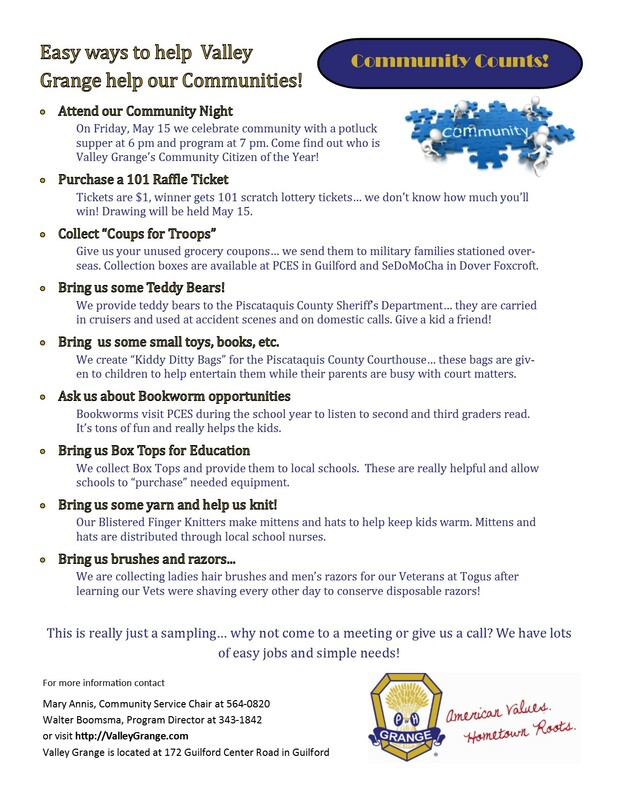 We did have some questions about how Valley Grange and these events supports the Piscataquis Santa Fund. There are, as many know, sponsors grouped basically by school districts with Piscataquis Santa serving as an umbrella. Each of those districts is basically responsible for raising funds for their individual program, but one of the real benefits of the fund is the pooling of resources. Valley Grange has members from “Monson to Millinocket”–therefore when we started these collaborative efforts, we determined that we would raise money under the “umbrella” and not specifically for any one district. In this way, if there is a particular need or shortage in one district, Penquis has the funds to meet that need. Every year we get a few calls from people who’ve benefited from Piscataquis Santa in the past… they beg to volunteer to help because they fully appreciate the value of this program. Yes, it’s important to “pay it forward,” but in this way, it’s possible to “help pay back.” The generosity we experience from businesses and individuals is heartwarming and rewarding. Thank you, one and all! The Friends Band donated their time and talent… thank you!